Our owners must see a sold sticker! They have already started to pack their bags as they are moving to the North Island. Although they have loved living in this home, they are actively seeking a new owner after 18 years – this is a must view! Ignore the RV. 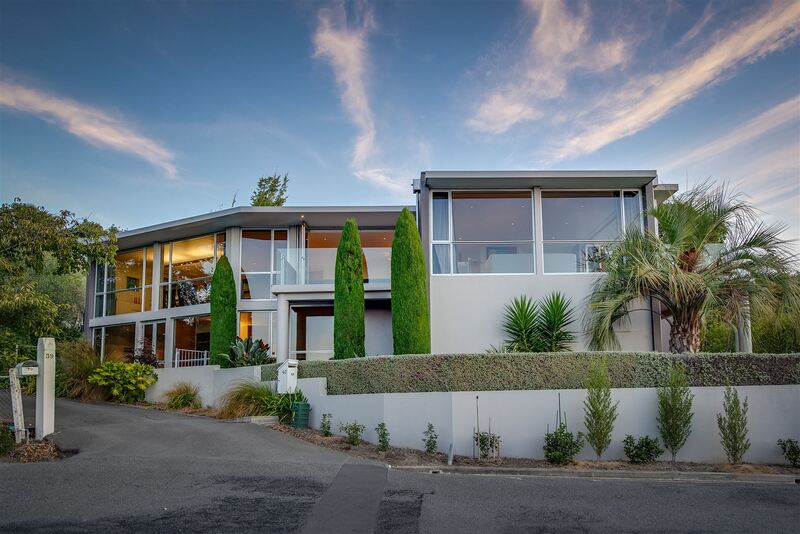 Architecturally designed and awarded with Canterbury House of the Year in 2002, this remarkable home has panoramic 180degree views across the city and out to the Alps. Sheltered from easterly winds, picture your family dining outside on summer evenings as sunsets march into your living room. The upper level offers open plan kitchen, dining and livings rooms, overlooking the city. The master suite with walk-in robes and ensuite offer a peaceful retreat with a private deck perfect for your morning coffee. Two double bedrooms and the main bathroom complete this level. Below, a double bedroom with ensuite proves perfect for guests. A study completes the picture here. An enviable location zoned for Cashmere Schools and mere minutes to an array of walking and biking tracks. This 456m2 home is incredibly spacious and has been meticulously maintained. Seriously for sale our owners are adamant to sell on auction day if not before. Don’t miss your opportunity to purchase this contemporary master piece.